Are you looking to save time and get more organized with your prescriptions? 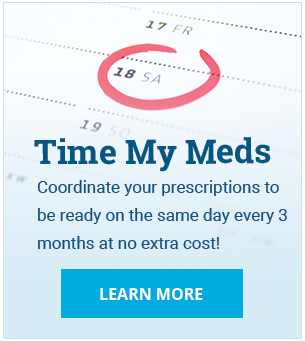 Our Time My Meds program will allow you to pick up your regular medications on the same day every third month. Our pharmacy staff will organize your refills to help you reduce your pharmacy visits. 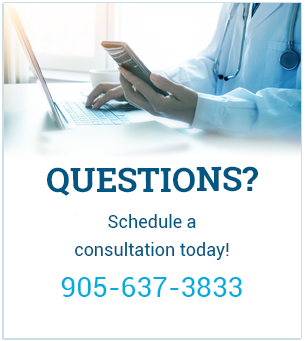 To learn more or to sign up for Time My Meds, we invite you to please contact us at 905-637-3833 or visit us in-store.